It’s been very hot here this week. We’ve been spending lots of time in wading pools and running around in mini sprinklers. 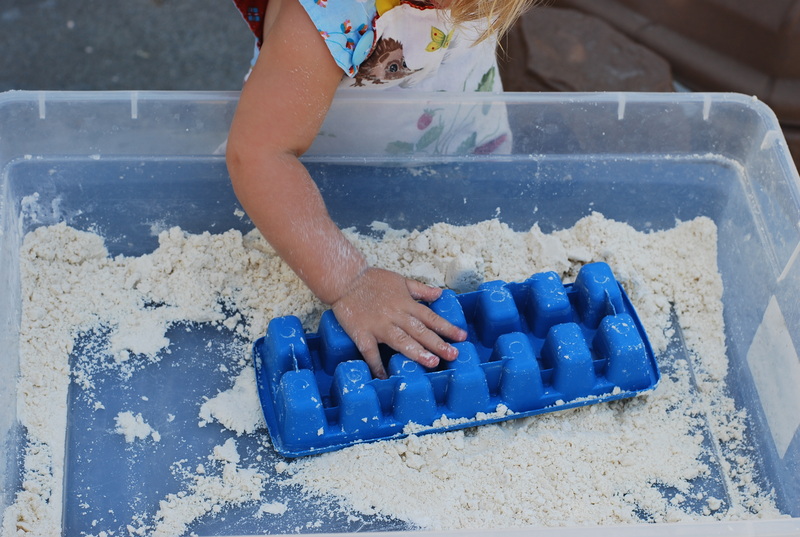 We have also been trying out new sensory experiences. 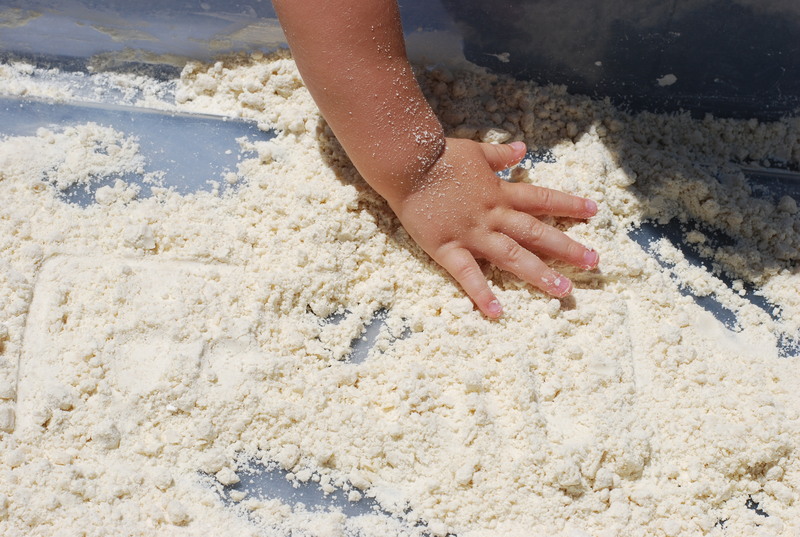 Surprisingly, my twelve plus years of working with young children never led me to cloud dough. I had heard of it but until this week, never tried making it. It was super simple to make. About 4 cups of flour mixed with about a cup of baby oil. 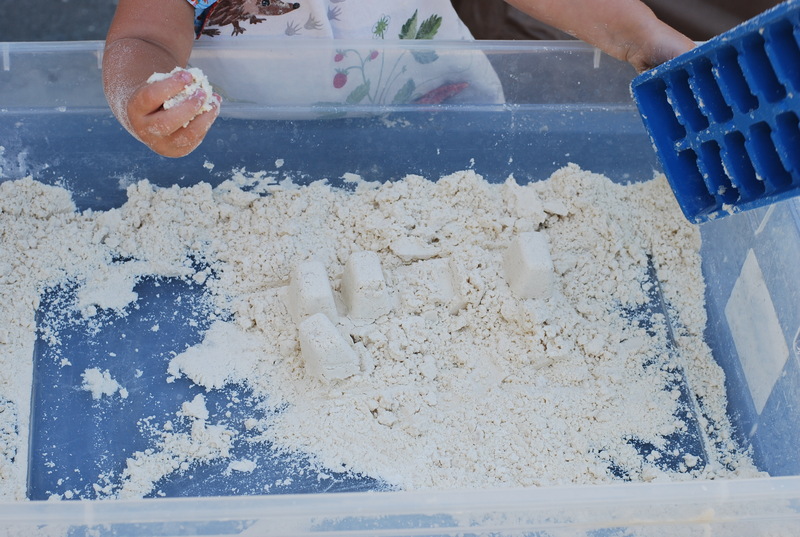 It creates a lovely crumbling, soft texture that can be molded like silky wet sand or scooped and poured like dry, silky sand. Ellie loved it. We’ve been playing with it out back all week now (stored in a large, plastic tub). It does get a bit messy though. I think it’s definitely an outside experience. We will continue to enjoy it this week, I’m sure. 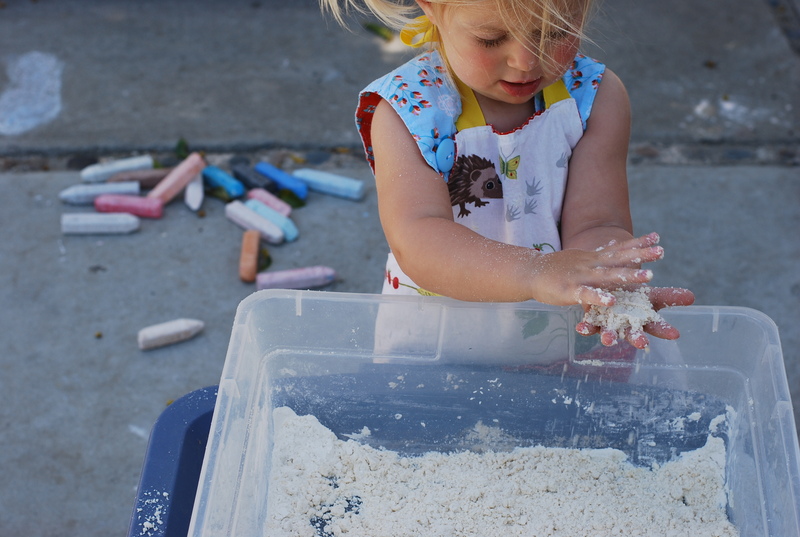 This entry was posted in parenting, Uncategorized and tagged cloud dough, messy days, sensory exploration with toddlers. Bookmark the permalink. That looks like so much fun!! 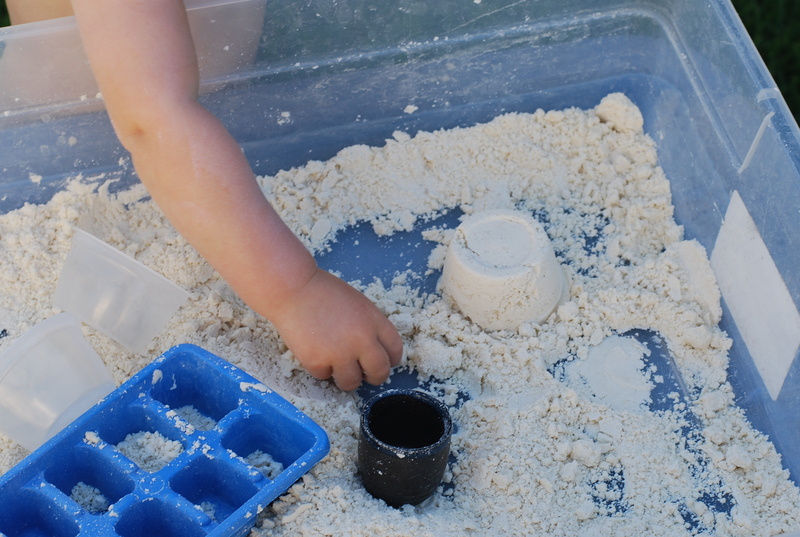 My daughter Amanda used to love it when I would make play dough for her. She is 22 now. Not so sure I can entice her to play in the cloud dough with me, but I will try!